Aliko Dangote Neck Deep in Debt: Feared Broke; Plan Massive Lay-offs! There are worrying indications that Nigeria's richest man, Alhaji Aliko Dangote is facing a financial tempest that has pushed the Forbes-listed billionaire on the brink of bankruptcy as his financial empire suffocates under the weight of crumbling debt and mismanagement. Forbes magazine reported that Aliko Dangote, whose net worth was estimated at $2.5 billion, is in debt to the tune of over $1.7 billion and facing insolvency as the global financial meltdown hits the Nigerian economy. To weather what appears to be the perfect storm, Huhuonline.com has learnt from close sources that the Dangote group of companies will undertake a massive down-sizing exercise that will involve as many as over 3000 lay-offs. It was unclear when or where the lay-offs will occur, but a senior employee at the Dangote group told Huhuonline.com that the “right-sizing” exercise will cut across the board of companies which include: Dan sugar, Dan salt, Dan Flour, Benue Cement, Chevron Texaco amongst others. The Nigerian cement king was among dozens of to business executives singled out by Nigeria's central bank, in its published list of recalcitrant debtors, who have been told to pay up or face arrest and possible assets seizure. The Economic and Financial Crimes Commission (EFCC) is also looking into recovering the loans. Loans related to Dangote-owned companies so far appear to have amounted to hundreds of millions of dollars and counting as Dangote continues to expand his cement operations with new plants in Nigeria as well as South Africa, Ethiopia, Senegal and Zambia. The Dangote group recently signed two agreements worth $228 million with the Chinese group Sinoma International Engineering. The first contract involves its subsidiary Dangote Industries Senegal SA and covers construction of a new production plant near Dakar with capacity of 3,000 tonnes per day. The deal is worth $144 million. Under the second contract, for the same amount, Dangote Industries Zambia Ltd will build a similarly sized cement plant in Zambia. Along with the second project, roughly another $324 million will be invested in infrastructure, which will be handled by sub-contractors. Nigerian Central Bank sources told Huhuonline.com that part of this expansion by the Dangote group has been funded with debt financing from Nigerian banks reportedly to the tune of $1 billion and some of these assets may potentially be in trouble. The Dangote group is also interested in mining ore: in particular it has positioned itself to obtain coal mining permits in Nigeria, according to sources. 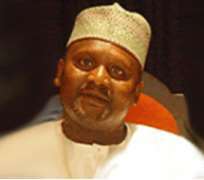 The unsettling revelations about Aliko Dangote's financial meltdown was predictable after Huhuonline.com reported an unending wave of mass exodus of several top management staff who resigned their positions from the Dangote group amid speculations that Dangote's black-box like financial empire will explode in a wave of financial mismanagement and accounting scandals. Dangote has enjoyed cozy relations with powerful politicians and was closely linked to former president Olusegun Obasanjo. He sits on various government and quasi-government bodies, including the Nigeria Stock Exchange, (NSE) where he was unanimously elected president through a shoddy process of horse-trading and clunker philandering which also saw Erastus Akingbola, then Group Chief Executive of Intercontinental Bank, elected NSE 1st vice-president. Dangote has been at odds with Akingbola after Intercontinental Bank Plc, petitioned President Yar'adua asking for his intervention to help compel a "debt cabal" led by Dangote to re-pay the loans owed Intercontinental Bank. In the petition sent on its behalf by A.O.S Practice, a firm of legal practitioners, and dated August 5, 2009, Intercontinental described Dangote as a loan defaulter and “rabid debtor” who was being daily serenaded in the media as an affluent Nigerian. A look at the three Dangote companies indebted to Intercontinental Bank as contained in the said petition showed that their cumulative debt profile stood at about N35.8 billion. Recall that Erastus Akingbola was among the five managers of Nigeria's largest banks -Intercontinental, Oceanic, Afribank, Finbank and Union - who were sacked by CBN Governor Lamido Sanusi, and government bailout funds extended to their banks to keep them solvent . While Erastus Akingbola remains on “health exile” in London, all the bank managers have been arrested and face prosecution for corporate governance malpractices, lax credit administration processes and the absence or non-adherence to credit risk management practices. Only time will tell whether Aliko Dangote will weather the storm and rescue his financial empire from total collapse.